We have all seen those cuddly, supple and cushy comfortable, tiny baby shoes with their soft and flexible leather or rubber outsoles. Many podiatrists have recommended this type of footwear to parents of babies and children alike. They emphasize the health of your feet from the perspective that a shoe should, initially honor the natural form and movement of your feet, and not impede its structure in any way, or as minimally as possible. Not only for babies and children, but today for adults alike, a soft soled shoe is the popular demand and comes with high praise from most podiatrists. For many years we have been bombarded with the claim that the human foot represents major design flaws and therefore craves a biologically designed shoe for support. Although, I believe, when we were created initially, our feet was designed with the perfect natural form to provide all the cushioning and structural support that we need. Why a Soft Sole Shoe? A soft-soled shoe offers you a more natural and barefoot experience in general, which allows your feet to perform on their own with the slight protection of a lightweight and thin soft soled shoe. A soft-soled shoe is considerably more flexible and allows for more natural movement and much better stability and balance. A child’s feet develop better in a soft soled shoe. Soft soled shoes help to strengthen and develop your foot muscles and tendons. A soft-soled shoe allows your feet and toes to move in a much more natural manner and improves natural gripping functions. Soft sole shoes tend to be much more roomy, soft and supple, so they will not harm your feet in any way while allowing for ample toe room for movement. You can feel and experience the earth beneath your feet in a much more natural and closer manner. A soft sole shoe is the ideal option when driving, and can help you in critical situations. Flat and flexible Ballet Pumps. Driving shoes with a soft and flexible rubber outsole. Some Moccasin Brands with a leather sole. Mary Jane Flats from Softwalk. Natural leather shoes “Vellies” as known by some cultures. Usually manufactured from pure leather. The entire shoe and sole may be leather or just the uppers. A thin flexible, soft rubber sole. Suede, smooth or textured leather design. A padded collar or elastic goring for a better fit. The Waverly Mary Jane Flat from Soft Walk is a flexible shoe with elastic goring for a better fit and a flat and soft outsole, and cushioned footbed for soft and comfortable support. Available in three color and style options for you to choose from. Available in smooth black leather, smooth pewter Leather, and a Nubuck black leather style. Manufactured from pure leather with an antimicrobial brushed suede microfiber upper lining and foam backing. The footbed is removable and cushioned for comfort. A soft antimicrobial footbed lining. Features a flexible and textured rubber outsole that offers gentle cushioning. Elastic goring for a more snug and easy fit. The Serene Driving shoes feature a soft and flexible rubber outsole that provides excellent grip for driving purposes. These slip-on Moccasin Styled shoes are available in a range of colorful options for you to choose from. Pure and genuine e leather uppers with a soft and flexible rubber outsole. Supple and flexible design slip-on shoes. The rubber outsole is durable and features anti-slip properties. A casual and comfortable style for all occasions. 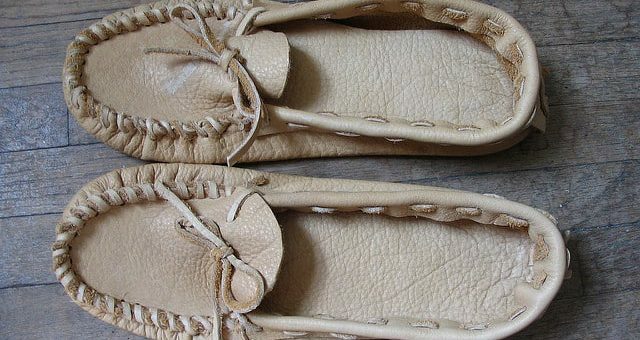 These are my absolute favorite, you will not get any softer or more supple than the Minnetonka Moccasins. They feature a bohemian style, with genuine leather uppers and outsole, and a cushioned insole for comfort. 100% Pure Cowhide leather construction with a soft suede outsole. Soft and supple suede leather feel that is gentle on your feet with a soft leather outsole. A slightly padded and cushioned insole for better support and shock absorbency. Available in a few different shades of brown and blue to choose from. A very natural and light leather shoe with stunning details and finishings, ideal for summertime. The Mordenmiss Flat shoe is available in a few stunning neutral color options, with either smooth or suede leather finishings, and buckle or button closure details. Manufactured from 100% natural Cowhide leather in a smooth or Nubuck leather option. Exquisitely crafted using different stitching and patched leather details. A button or buckle closure option at the side of the shoe. Gore insets offer a more flexible and snug fit. Ideal for spring and fall. Gorgeous and elegant ballet flats, made from real leather with a soft and flexible flat sole. The Xielong Chaste is available in any color imaginable, so you can even have a collection of these stunning and highly versatile shoes. A soft and flexible durable rubber outsole. Leather Ballet flats that have a rounded toe and elastic topline for a customizable fit. The footbed is cushioned for comfort and support. A suede leather sock liner and perforated contoured arch for support and breathability. I could just not resist, this stunning and highly versatile ankle boot from Minnetonka. Minnetonka is a high-quality brand of boots, shoes, and sandals with a more bohemian, and natural style. Minnetonka offers shoes from the finest quality, soft and supple leathers to give you that barefoot feeling, with a slight bit of cushioning. Manufactured from genuine leather with a leather outsole for comfort and a more natural feel. Ankle high bootie with fringe detail in a Moccasin style. Decorative stitching and a zipper at the counter for easy on and off. A soft-soled shoe will allow your feet to develop and strengthen naturally while bringing you closer to nature, these are the most sought after benefits when it comes to soft sole shoes. For a more barefoot experience and enhanced natural conditions for your feet, you can try any one of these gorgeous and quality made shoes.